As a value-added benefit, GPA policy reimburses the cost of carrying mortal remains in case the death occurs outside the residence of the insured. ( GPA program normally provides these benefits when the employees are on duty. However, as an additional benefit some employees can opt for the off-duty cover which will allow them to avail the post-accident medical facilities during non-duty hours.) GPA insurance policy is a separate entity and does not come under GMC. Hence, employers should purchase it separately to ensure the safety of their employees while they working. Group health insurance plans are generally provided by many insurance companies. However, as an employer you might have less time going through each policy cover in order to know the benefits, additional coverages, limitations and exclusions. GreenLife Insurance Broking Limited (GIBL) helps you save time and some money on your corporate health insurance program and group personal accident plan. You can calculate the group health insurance premium to get an optimum rate. Only renowned insurance companies have collaborated with GIBL to provide enterprising employers like you with the best group healthcare plan. Just compare the features and quotes provided by different insurers and choose a plan which offers lower premium rates. 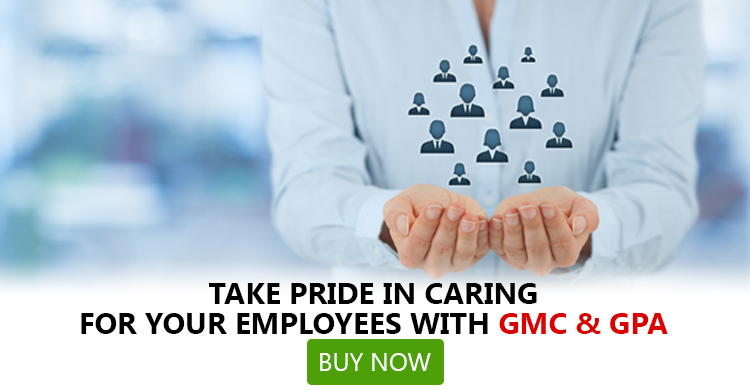 Visit gibl.in and choose the best deal for your employees.